"Our ambition was for a high-end, quality, conversation starter of a magazine to support our employee engagement programme where we seek to build a community of people who support our business. We wanted to get to a magazine people would choose to read – not a staid, corporate, “brochure” but something they’d choose to pick up, spend time with and – maybe most important of all – take action as a result of something they’d read. Working with Zahra gave us the focus and inspiration we needed – they shared our vision and partnered with us every step of the way to successful delivery. 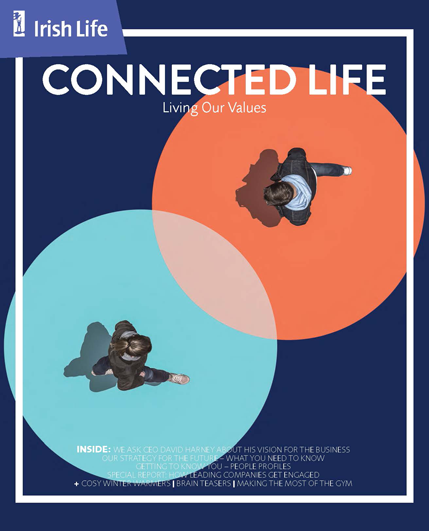 Connected Life not only has a readership, but a circulation and for us that’s something really valuable." We produced this new employee magazine from initial design concept, through editorial creation, look and feel, all the way to the final product. 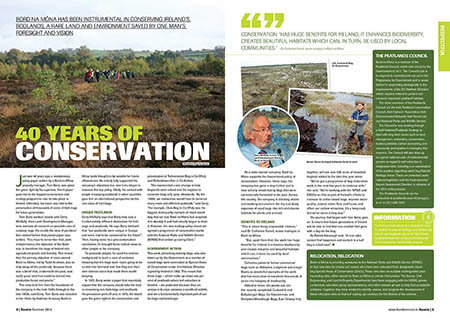 The 44 page magazine is distributed to employees across Irish Life Group. We produced this internal staff publication three times per year. The 28 page magazine (plus an 8 page health and wellbeing supplement) was mailed directly to current and retired staff’s homes. "I would recommend Zahra Media to a friend/colleague because of their professional approach, adaptability to ever changing requests and their ability to deliver and meet deadlines." 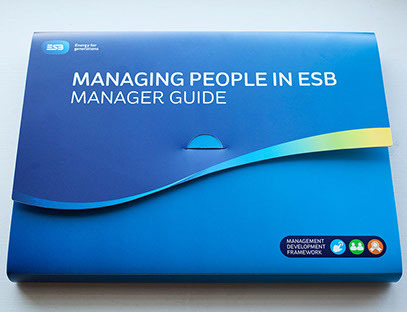 This internal HR Management Toolkit folder comprised multiple workbooks, guidebooks, checklists and a tabulated navigation system.